With 15 yrs experience & a dedication to quality craftsmanship, speak to the experts today. At Wood Glass Group we provide true craftsmanship for glass pool fencing and glass balustrades in Brisbane. We have over 15 years’ experience completing traditional balustrades and modern designs on high quality residential and commercial buildings. Every set of balustrades we install is delivered with exceptional attention to detail. We offer our specialist balustrades expertise in wood and glass construction for our Glass Pool Fencing, Glass Balustrades, and Timber Handrails. We offer custom fabrication which means you can tailor the perfect design for exciting, stylish, and contemporary designs. Choose from glass balustrades, timber balustrades, and glass pool fencing in Brisbane. We work with new builds and existing homes to install glass fencing in Brisbane to your exacting specifications. We make sure that you’re completely satisfied with your new balustrades and are committed to your happiness. Take a look at what some of our satisfied customers have said about their new balustrades and glass pool fencing Brisbane. Our company is 100% family owned and operated. That means you always get attention to detail, quality workmanship from master builders, and inspiring designs that add style and elegance to your home or new build. Capture your stunning views with glass balustrades or add sophistication to your home with traditional balustrades. Experience, quality, and exceptional customer service. 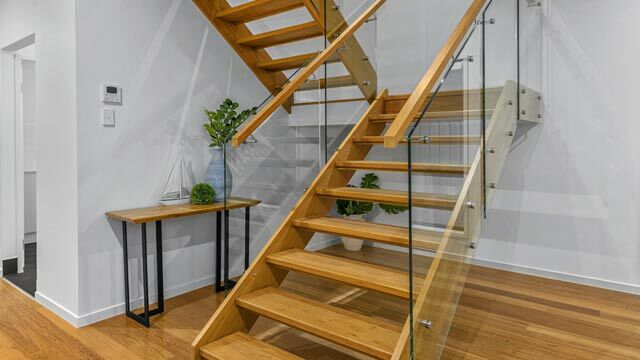 That is what you can expect when you engage Wood Glass Group to supply and install your Glass Balustrades Brisbane. 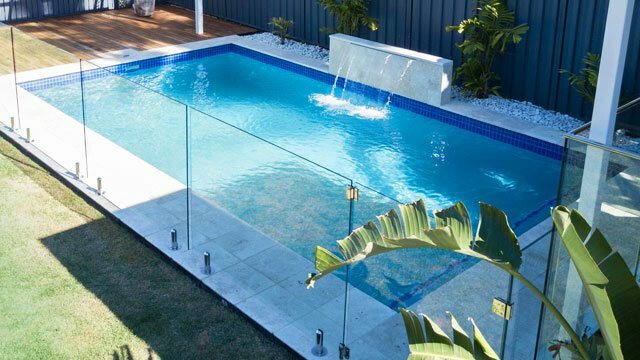 We offer Semi Framed & Frameless glass pool fencing Brisbane wide. Working with a single point of contact, your project will run smoothly from start to finish. 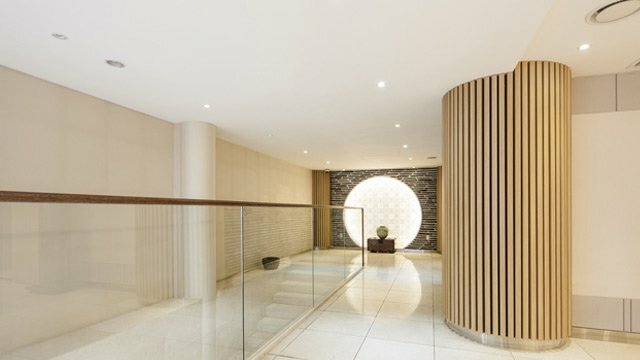 Wood Glass Group can cater for most custom sizes and qualities. Speak to us today and arrange a consultation to discuss your balustrades requirements in detail. Timber Handrails offer warmth, versatility, and the sturdiness of timber, especially when used for feature handrails on your staircase or deck. At Wood Glass Group we pride ourselves on true craftsmanship. 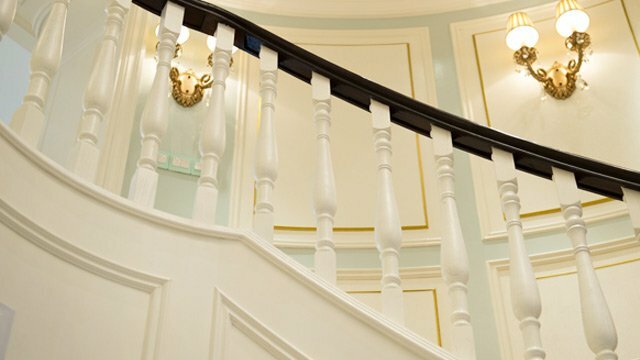 Traditional Balustrades look fantastic in many spaces, from traditional homes through to luxury new builds. Our customers come with us because we offer exceptional attention to detail, customer focused approach, trusted reputation, and commitment to delivery. 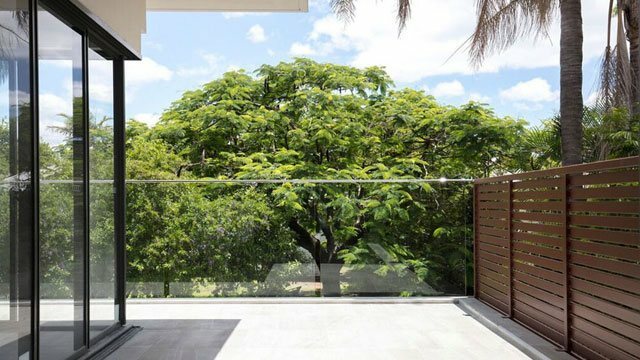 With over 15 years’ experience installing glass pool fencing and glass balustrades in Brisbane, in both residential and commercial building projects, Wood Glass Group will delivery exceptional results of the highest quality. Wood Glass Group personnel hold AS1288 Accreditation from AGGA (accreditation number ACP3492), so you can have confidence that you’re dealing with qualified glass balustrade and glass pool fencing experts. Wood Glass Group is registered with the Queensland Building and Construction Commission. Licensee 15032712. You will communicate directly with the person who will install your balustrades. No sales people over promising and under delivering, just direct communication that is clear. We make sure your job outcomes for your glass fencing Brisbane or balustrades are delivered as expected. We strive to deliver the best outcome for customers. With over 15 years’ experience you can be assured that true craftsmanship will be at the heart of our work. When you require Glass Balustrades or Glass Pool Fencing we are your go-to people. 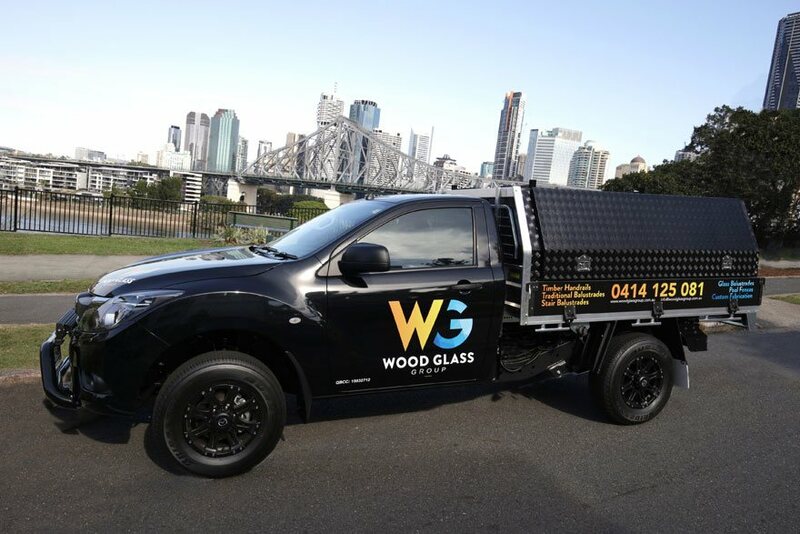 When you work with Wood Glass Group, you are working with a family owned and operated wood and glass fencing Brisbane business. 100% Australian owned & operated. We ensure workplace safety and a professional working environment is upheld, always. Delighted with my pool fence, the Woodglass guys really listen and come up with quick solutions for your needs. They are reliable, great communication and left the place clean Will use them again , highly recommended ! Very innovative in design work. Darren did a tremendous job.Meticulous work to give a spectacular finish.Would highly recommend Darren to anyone looking for a professional finish. I am really happy with the glass work that was put up around our pool and desk area. Wood glass group provided really helpful advice to enhance our outdoor area and worked within our budget. They were professional, timely and provided attention to detail. Thank you for your excellent workmanship. Darren came out to quote 48 hrs after contacting him. He was friendly and informative in all aspects of glass balustrading. Not only did he quote the job quickly but he also personally installed the balustruding with his professional team. Darren being the one point of contact throughout the entire job made the project seamless from start to finish. Highly recommended! Would highly recommend Darren His quality of work is exceptional, it’s refreshing to have someone take such pride in their work If only all tradies had the same honest work ethics !! ... We were always treated with respect We were kept informed as the job progressed, Darren alway arrived on time as arranged We are very happy with the completed work, and our pool frencing passed inspection with flying colours!! 😃 Thank you so much Darren You’re the best !!! A big thank you to Darren at the Wood Glass Group for my new glass pool fence and balustrade. Very professional service, from advice with the design of the pool fencing all the way through to installation. Was always happy to answer my questions and offer advice on the best look for our pool. Couldn't be happier and couldn't recommend highly enough. Thanks guys. Thanks Woodglass group, we are very happy with the 30m of glass fencing you installed. We were really happy; you said what you would you would do and did the whole lot in two days. All the glass was millimeter perfect which shows attention to detail. Recommended. Darren and his team are all class. We deal with a lot of trades, Wood Glass are one of the best. Amazing company to deal with. They turn up at the arranged time, their workmanship is of a very high standard and they clean up as they go. Pricing is very competitive. We can highly recommend using them for your next glass fencing job. Thank you Darren, awesome job. Darren did a great job on our pool deck. Fantastic work. These guys are organised and professional. They are quick to reply to any questions and are completely transparent with costs and designs. They have provided us with a quality finish to our patio with a competive price and you are dealing with them from start to finish making the whole process enjoyable and easy. Highly recommend!!! Darren was quick to respond, very polite and easy to deal with.. not something you see every day. Did a great job with my fence and I'd recommend to any of my mates getting work done. Darren and his team were amazing! We spent a long time rebuilding our deck and needed the new fence to do it justice. Darren was very competitive on price, easy to deal with and finished the job on time. Even when one of the bases that WE put in for the fence footings was slightly off, Darren and his team calmly solved the issue, that we created, without fuss and with stunning results. Could not recommend them enough! Darren and his team are an absolute pleasure to work with. Darren and his team were prompt, reliable, quick to respond, delivered exceptional workmanship and were just overall a great team to have on site and work with. I HIGHLY recommend them. They are just the best. Glass pool fence installed with custom pieces. Darren is very knowledgeable on the industry rules and regulations. He provided alternative suggestions for the appropriate setup for the area, which had it's complexities in design. Highly recommended, and easy to deal with. Great results. Excellent job and very good service, will definitely use again. Thanks! At Wood Glass Group, you can rest assured that you will get the service and attention to detail you need, working directly with our highly experienced owner. 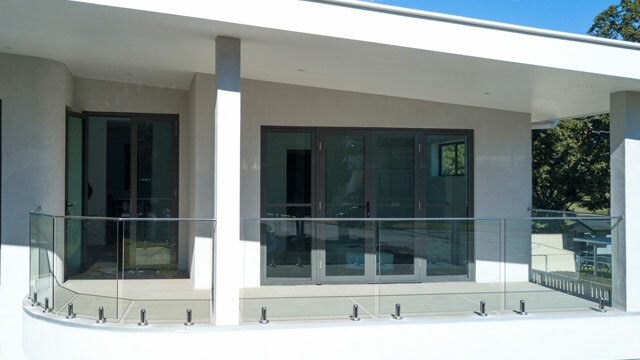 If you are considering safe glass pool fencing, timeless glass balustrades, or warm timber balustrades for your home, apartment, or office (and have a few questions) please feel free to get in touch. Glass pool fencing comes in a variety of styles to suit your home and budget. From frameless glass through to mixed metal and glass, Wood Glass Group can help you. We have put together a short video to demonstrate the options in real life, so you can get a feel for the not only the type of pool fence you would like, but also the ability for Wood Glass Group to provide custom design for even the most difficult locations. You will be pleased with your decision and know you have chosen the correct path when you see the final result. The kind, caring professionals on our staff will remain dedicated to meeting your needs from the time they arrive at your home to when they finish the job and leave. Learn why you should enlist our team and the benefits you can get from a glass fence around your pool. This section reveals why you should pick us instead of opting for a different fence installation company. In addition to caring about each of our clients, we are also licensed and accredited. You get a single point of contact when you hire us for your fence installation needs, and you never have to worry about speaking with salespeople who make promises they can’t keep. When you trust us to do the job, you get quality craftsmanship on which you can depend, and you will be thrilled to see what we can do for your pool. Not only do we use the most recent tools and techniques, but we also have more than 15 years of experience serving the local community. With your long-term goals in mind, we work hard to give you the unique outcome you deserve. While you can do many things with your pool, safety is always the first priority. You don’t want children or animals getting too close to your pool and getting hurt. Since one mistake could cause lasting damage, you can’t afford to take the risk. Putting a glass fence around your pool adds a layer of safety that gives you peace of mind. Whether you want to stop children from getting to close to your pool or discourage unwanted visitors from swimming, we have glass fences that let you achieve your goals. Nothing in life compares to having confidence and peace of mind, knowing your pool is not a danger to you or others. If you would like to enjoy your pool without the risk, don’t wait another second to install a glass fence. When people sell their homes, many of them do so without putting much thought into the process, a mistake you don’t want to repeat. Adding things to your home can increase its value more than most people might think. If you would like to get as much as possible from the sale, install a glass fence before listing your home on the market. By adding a touch of class to your property, you make it that much more attractive to prospective buyers. Real estate agents want to list the homes that are the most likely to sell, so your glass fence can bump you to the top of the list. You can then sell your home quickly and ask for a much higher price. An investment worth making, installing a glass fence is a smart path no matter your goals. You care about the finer things in life and make an effort to increase your home’s beauty. Whether you master your landscape or find the perfect color for your shutters, nothing adds to your visual appeal as much as a glass fence. Depending on the location of your pool, you can sit back and admire the clean and clear water from a distance. The right glass fence adds a touch of luxury and elegance to which you would otherwise not have access. By increasing the visual appeal of your home and yard, you give yourself a fantastic place to unwind and let the stress of life fade into the background. Impress your friends and stun your family with a glass fence that grabs attention and captivates interest. The glass fence of your dreams can be yours the second you enlist our services. When you first reach out and let us know what you need, we learn about your home and the outcome you would like for us to achieve. The second part is sending an expert to your home to do the job and provide the results you want, need and deserve. Giving you a safe and high-quality glass fence is our No. 1 mission, and we won’t stop until we reach that goal. Working hard to please our clients is how we have earned a strong reputation within the community. If you are ready to enjoy the rewards of a glass fence, get in touch and talk to our glass pool fencing team Brisbane today for your free quote.